Earn up to 5,840 reward points. This 15W stunner delivers rich tube tone through a Celestion V-Type speaker. 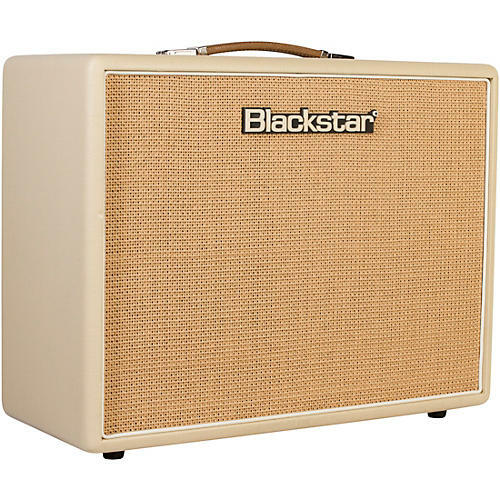 The Blackstar Artist Series amplifiers take the incredible tone, features and iconic styling Blackstar's award-winning Artisan handwired amps and add channel switching, their patented ISF tone shaping circuit, reverb and an effects loop, to create the ultimate vintage-inspired amps for a wide range of classic clean and crunch tones. With 6L6 tubes and outfitted with Celestion V-Type speakers, the Artist 15 special combo delivers 15 watts of pristine and expressive Blackstar tone perfect for plugging straight in or pairing with your favorite pedals.